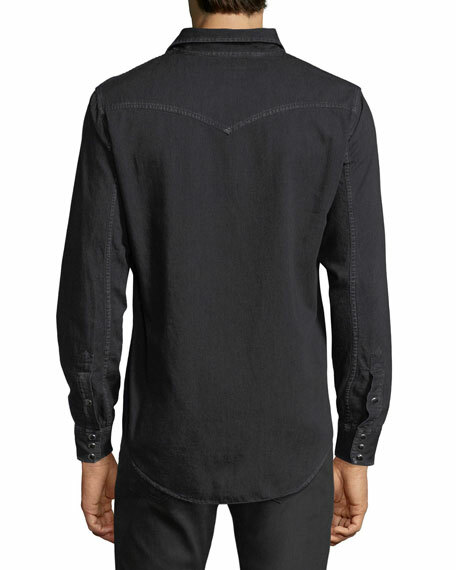 Saint Laurent shirt in black wash denim. 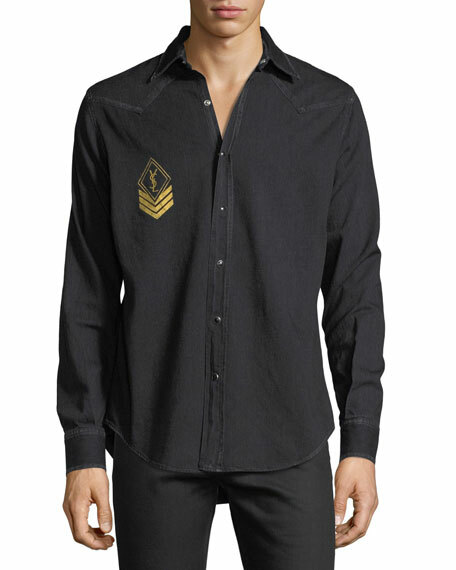 Military-style interlocking YSL monogram at chest. Western-inspired peaked shoulders and back yoke. For in-store inquiries, use sku #2260245.